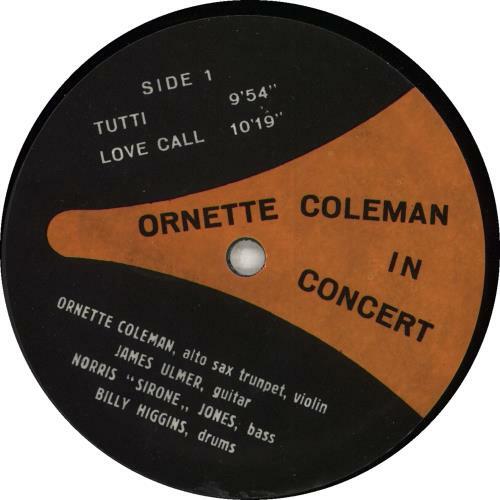 ORNETTE COLEMAN In Concert (Limited Edition 80s US-only 8-track 2-LP set with 'GR-ALPHA' engraved in the run-outs, recorded in Padua, Italy on May 4, 1974 with James Blood Ulmer on guitar, Norris "Sirone" Jones on bass & Billy Higgins on drums. Originally released only in plain grey die-cut sleeves, these two records appear in one of the Italian black & white picture boxes. The box [VG] has noticeable paper splitting along the spine [the lid lifts off] but serves its purpose of housing the discs. Both vinyl records remain near 'as new'). 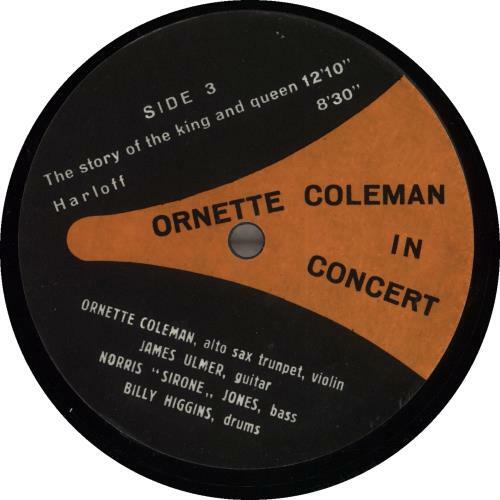 or visit our Ornette Coleman image gallery.